First beta test coming next month. 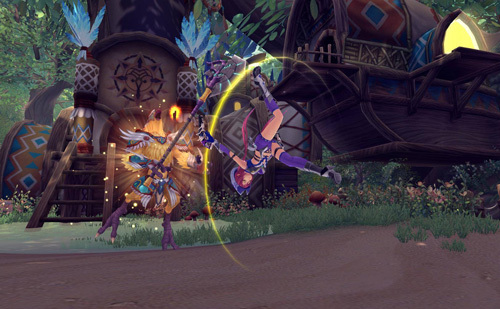 Aeria Games has revealed the beta schedule for its upcoming fantasy MMORPG Aura Kingdom. The game will kick off its beta phase with an early access paid beta for founders on December 16. The game’s Founder Packs will go on sale on December 2, with buyers getting access to the founder’s beta as well as the subsequent closed beta, expected to begin shortly after the founder’s beta. The closed beta test will be followed up by a stress test and then finally an open beta test. However, no specific dates other than the founder’s beta on December 16 were given. Tagged Aura, Beta, Kingdom, Revealed, Schedule.